Archbishop Allen H. Vigneron led the Prayer Vigil for Life for the Helpers of God's Precious Infants of Michigan. It began at St. Veronica's in East Pointe with Mass. 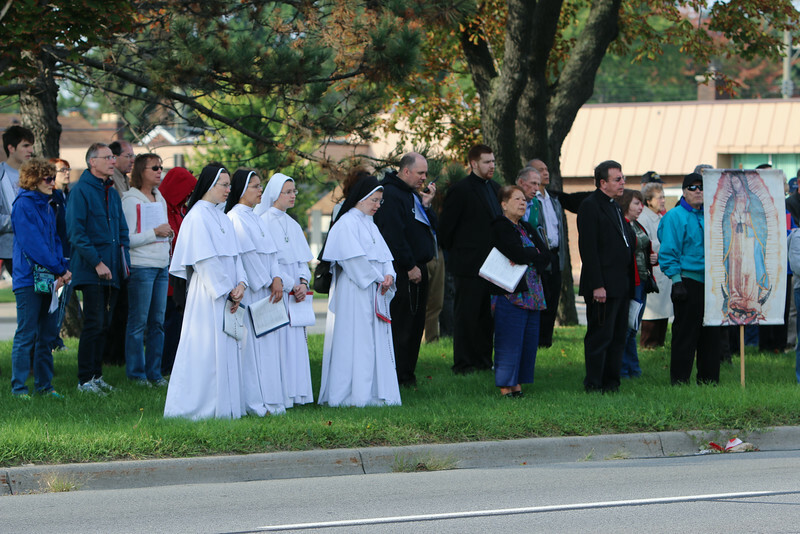 A Rosary procession followed for several blocks to the 8 Mile Rd. boulevard. There are two abortion mills about one block apart from one another - one on the East Pointe side and the other on the Detroit side. Time was split between the two.